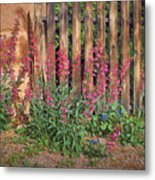 Penstemon - Adobe - Fence is a photograph by Nikolyn McDonald which was uploaded on March 23rd, 2015. The tall spikes of the penstemon, also commonly known as the beardtongue, complement perfectly the strong vertical lines of a rough, wooden fence next to an adobe home in Tucson, Arizona. 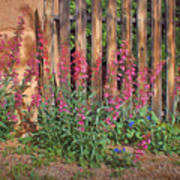 These hardy flowers are drought tolerant and perfect for the xeriscape landscaping that is popular in the area. 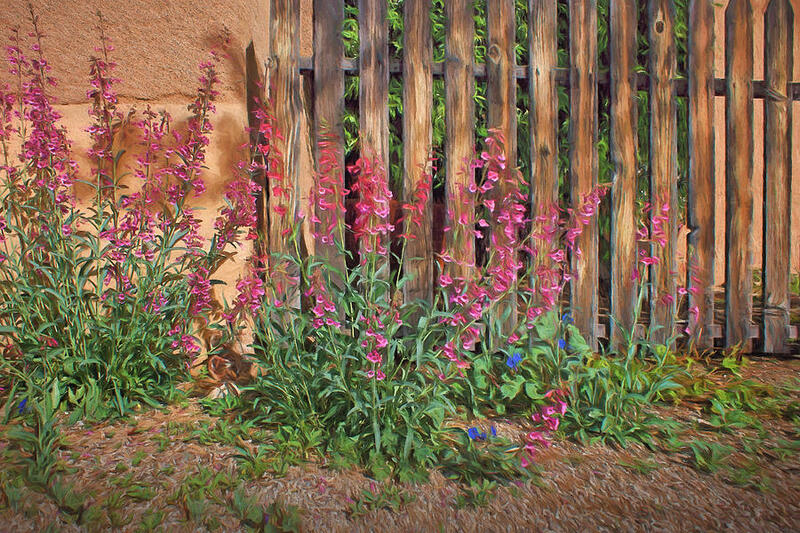 I gave this exterior still life photo a painted look. beautiful work, Nikolyn, thank you for being part of my contest!